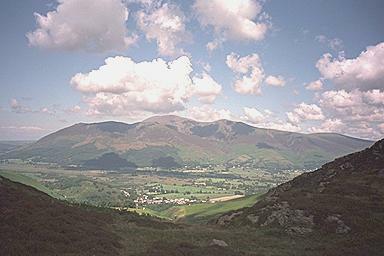 Skiddaw appears in the background beyond Braithwaite, a village of whitewashed buildings. Stile End and Barrow appear in the foreground. Larger version of this picture.